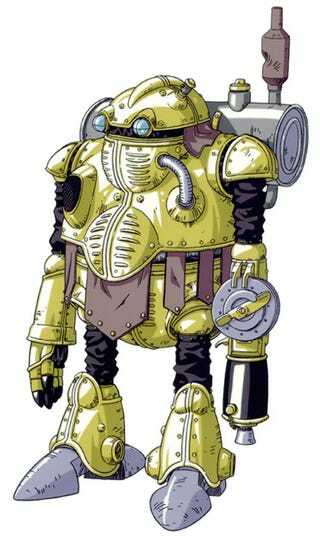 Chrono Trigger is a great game with a great robot. Yes, that's right, Robo! Knocked out of commission in 1999 and brought back to life in 2300, the existentialist 'bot faces some tough moral choices in the game — way before moral choices were in vogue. And if that wasn't enough, Robo will Rick Roll (Robo Roll?) you with his theme song. You cannot unhear this.